Flooring is the foundation of every project and wood is the ideal flooring raw material. An important part of maintaining wood flooring is moisture measuring. Flooring manufacturers, distributors, and contractors rely on a wood moisture meter to maintain both the quality of their materials and the strength, longevity, and resilience of their finished work. Many of the problems with wood floors can be traced directly to excessive moisture in either the subfloor or the wood itself. 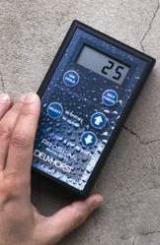 You need to be able to trust your flooring moisture meter. To check the relative humidity within the concrete sub-floor or the moisture content within the wooden floor itself, having a top-quality wooden flooring moisture meter is a necessity for getting the job done right the first time. A portable Delmhorst wood flooring moisture meter, pin or pinless for non-destructive moisture measurement, will quickly provide you accurate and easy to understand data about the moisture content of your flooring system. View below the available Delmhorst flooring moisture meters. 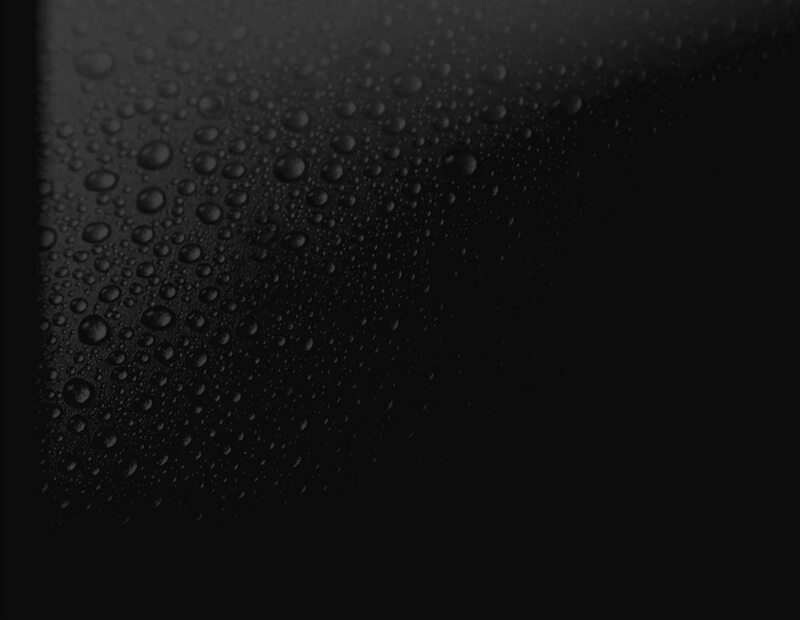 The analog Techscan is the next generation of non destructive moisture measurement. 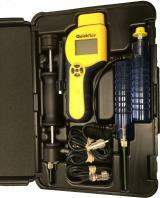 TotalCheck 3-in-1 moisture meter measures moisture by pin and scan modes and features a removable thermo-hygrometer. Ideal for wooden and concrete floors and slabs. The J-2000 moisture meter offers a solution for locating moisture before it affects your work. Corrects for individual wood species and temperature and comes with a built-in calibration check.